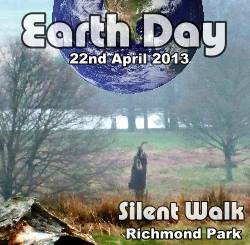 Earth Day 2013 in London: Come walk with us in Richmond Park | QuantumPhoenix.net – Esoterica, Paganism & Ritual Magic. On Monday 22nd April’13 – Earth Day – some of my friends from magical groups and I are going for a simple walk in one of London’s well-preserved woodlands – Richmond Park in South West London. It has lakes, small ponds, some streams, all sorts of trees..and of course lots of Deer. Purpose: Our aim is to have a mindful silent walk through a nice natural woodland. During the walk, we all make a point of not talking and disturbing each others’ thoughts. Some people may be in a meditative state, as they walk. 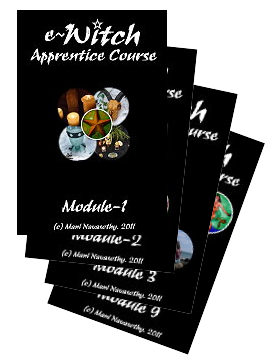 During the walk, each person may wish to attune themselves to the energies of the woods, and to Earth itself.. It is about observing and being part of nature, without interfering with it too much. Meeting point & Time: We are meeting at `Richmond Gate’ at 1pm. Just get through the gate, and look to the immediate left.. We’ll gather in that area. After initial meeting & greeting, and a quick talk-through (there are toilets nearby too) – we will set off on a 30min- 45min silent walk. If you don’t know how to get to `Richmond Gate’ – you can meet some of us at Richmond rain station (served by Trains & tubes) between 12.15pm to 12.30pm. We will stand by the coffee shop. We’ll gather anyone new, and step outside the station to take a bus to Richmond park. The bus journey takes about 15 minutes.. but we may need to wait for it. Only one bus goes past Richmond Gate (ask for the `American University’ stop.. then walk forward and turn left..). Because of other meeting up at Richmond gate at 1pm, we can not wait longer than 12.30pm by the station. Please be on time. In the past, we’ve waited for people, but that has only upset the people who turned up on time and had to waste time waiting. Activity: Once a quick explanation of what we are going to do is done, we’ll simply get walking. I will lead everyone through a particular path.. to a nice fairly quiet location.. (this is a `real’ Path-Walking). Once in that spot, we can sit in silence for a further few minutes – and break silence. We will then have a small social picnic – (bring your own picnic, packed lunch, flask of coffee etc – for your self, and if you really are okay..something to share. But not essential). We’ll then have a more talkative walk back to the exit. I can not really restrain this free-flowing event with an end-time restriction. I would say allow about 2 hours at least ..and may be more if you wish to socialise with others. 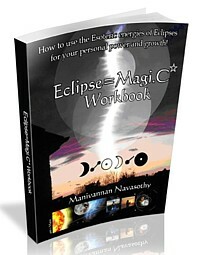 Pingback: Earth Healing Ritual, Activities & Affirmations (Earth Day 2013 feature) | QuantumPhoenix.net - Mani's Esoteric Blog where Science & Magic entangle...!